Handsome Business-oriented Hotel (1984) situated in Harbour City complex, overlooking Kowloon Park, connected by air-conditioned arcades, to Ocean Terminal and Ocean Center, 6 km from the airport, large air-conditioned rooms, with bath, hair dryer, phone radio, remote control color TV, minibar, 51 suites, executive floor, rooms for nonsmokers, room service, Southeast Asian restaurant, English-style pub, lobby lounge, meetings to 100, business center, free use of swimming pool at nearby Hong Kong Hotel, shopping arcade adjacent. The MARCO POLO PRINCE HOTEL is a Tourist hotel. Located in Kowloon - City Centre area. Shopping is accessible by bus/taxi and the nightlife/restaurants are easily accessible by taxi or bus from the hotel. 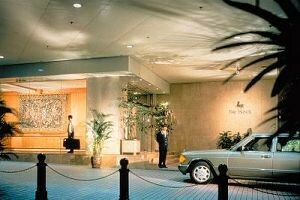 Descriptionclass="small" style="text-align: justify; font-size:11px;">Handsome Business-oriented Hotel (1984) situated in Harbour City complex, overlooking Kowloon Park, connected by air-conditioned arcades, to Ocean Terminal and Ocean Center, 6 km from the airport, large air-conditioned rooms, with bath, hair dryer, phone radio, remote control color TV, minibar, 51 suites, executive floor, rooms for nonsmokers, room service, Southeast Asian restaurant, English-style pub, lobby lounge, meetings to 100, business center, free use of swimming pool at nearby Hong Kong Hotel, shopping arcade adjacent. The experience of staying at a Continental Club room is worth the money spent. Private check-in/check-out; lounge access with breakfast, afternoon tea, and cocktail options; and fast WiFi connection. Location is a tiny bit far from the nearest MTR station, Tsim Sha Tsui. Our expectations during our stay, were far exceeded, from the time we arrived at check-in, to be met by Joanna, until we departed the Prince Marco Polo, on the Express bus to Kowloon Station. We arrived into the Prince Marco Polo hotel mid-morning, having come off a cruise ship. As the hotel is a member of the Global Hotel Alliance (GHA), we were able to utilise a stay experience, which allowed us to upgrade to a Suite on the 15th floor for the duration of our stay. This also gave us access to the hotels Continental Lounge on the 16th floor, for use during breakfast, afternoon tea and evening brunch. All staff we came across during our stay cared about their hotel and the comfort of their guests. It was just the best experience, with special thanks to Joanna & Vienna during our 4 night stay and to Angela, Moon, Leo, Janice, Andrew & Chloe for their great service in the Continental Lounge. Our suite room more than met our needs and expectations with comfortable bedding in a quiet and large 1 bedroom suite. Everything including the elevators, within the hotel just worked so well, whilst allowing us easy access to the Tsim Sha Tsui area of Kowloon, either into Canton Road or through Harbour City shopping area. 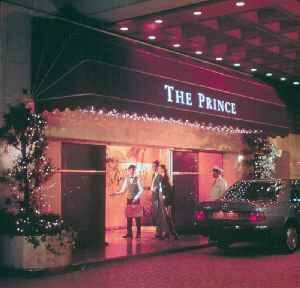 When next visiting Hong Kong the Prince Hotel would be our 1st choice. Thank you very much for taking your time to review us on TripAdvisor. We are glad to know that you enjoyed your stay and reflect in this 5 stars review. We strongly believe that our associates are our greatest asset, and we are indeed proud of them. We will be more than happy to share your kind comments with the team as we are sure they will be most appreciative of your compliments. We are delighted that we had the opportunity to be at your service and we look forward to welcoming you back at the Prince Hotel soon. This hotel is very well located in the heart of hong kong right next to the main shopping centre and close to many restaurants. We arrived with a company credit card and no cash and the hotel paid the taxi for us and let us put the taxi ride from the hotel on our bill. The room was nice enough but could benefit fro an up date. The bed was comfortable. The shower powerful. We ate breakfast in the hotel which offers a comprehensive buffet. I would stay here again because it is so convenient a location. We are glad to know that you enjoyed your stay. Prince Hotel is indeed very well located for many of Hong Kongâ€™s finest shops and sightseeing points. We are glad that you like the hotel and service. Great Location, Staff Service and Spacious room !! An easy walk to TST station with shops along the way. Good location as hotel is connected to Harbourcity shopping mall with plenty of food options. Well connected to mall on Level 3. Taxis readily available in morning from entrance to head for appointments. Will definitely recommend this to any business travellers with minimal time for leisure. We are glad to know that you enjoyed your stay. Prince Hotel is indeed very well located for many of Hong Kongâ€™s finest shops and sightseeing points. We are glad that you like the hotel. Arrived and got a free upgrade to club lounge which was a lovely surprise. Never felt so well taken care of at a hotel as by the staff in the club lounge. The complemantary buffÃ© in the evening were great and so was the breakfast. We are glad to know that you enjoyed your stay. We strongly believe that our associates are our greatest asset, and we are indeed proud of them. We will be more than happy to share your kind comments with the Continental Club team as we are sure they will be most appreciative of your compliments.